A few free hours this afternoon gave me time to explore San Diego’s Balboa Park. It is my new favorite city park (until I visit Central Park again). San Diego has done a spectacular job with the landscape. This was one of those scenes that produced such joy. People were enjoying a lazy afternoon at the fountain, a dog jumped into the water and splashed around to everyone’s delight, and the sky smiled down on us all. Perfection, if not for a brief moment of day 40 of Photo 365. 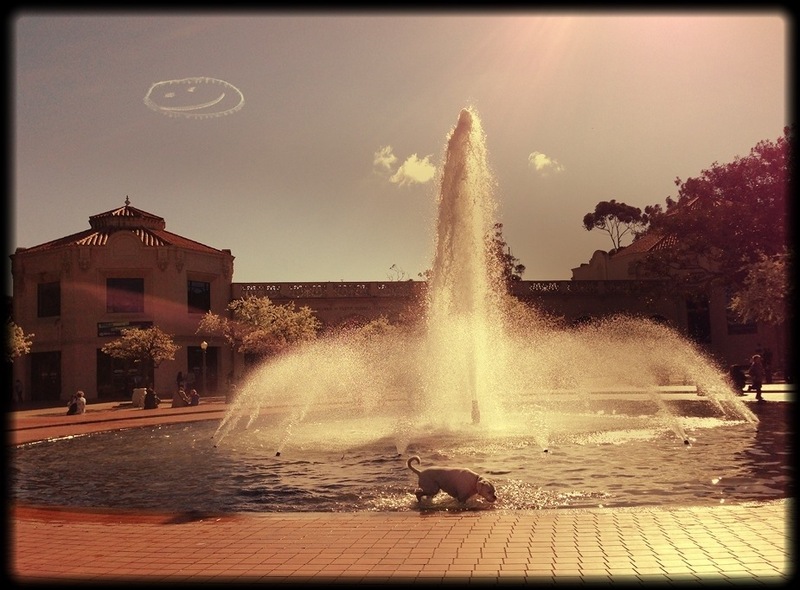 This entry was posted in Photography and tagged dog, fountain, Photo 365, San Diego Balboa Park. Bookmark the permalink.